What does science have to do with talking to members and potential members? Everything, if you’re one of the over 900 business representatives and organizers who have received the UFCW’s reflective engagement training. This innovative approach to organizing and servicing builds on decades of research on human engagement. Studies show that active listening, asking questions and reflecting back the response is the most effective way to connect with people. By using this technique, those who are trained are having measurably more successful, more open and higher quality conversations with workers and members. The UFCW’s reflective engagement trainings help participants learn how to improve their ability to listen to what issues workers are concerned about, reflect on the conversation and the issues of importance, and communicate the benefits our union offers to help workers overcome the issues of concern. For example, if a worker is concerned about the cost of sending his or her children to college, an organizer would respond to that concern by making the worker aware of the UFCW’s Free College Benefit, along with other benefits that come from being a member of our union family. 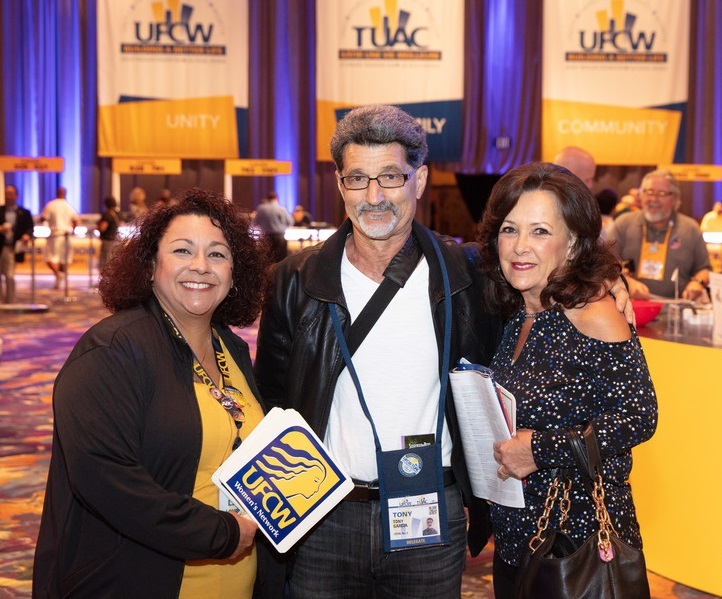 Eighty-nine UFCW locals across the country have sent staff to reflective engagement trainings and are continuing to find success as they apply it to their organizing and outreach campaigns. If your local is interested in learning more about this innovative approach, contact Moricka Burgess at mburgess@ufcw.org or Jenny Reed at jreed@ufcw.org.